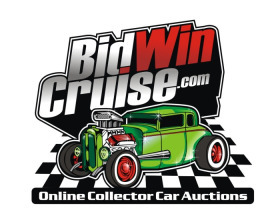 COLLECTOR CAR AUCTION!  Simple Online Bidding! 1968 Dodge Charger "General Lee"
Pearce & Associates/BidWinCruise is conducting its quarterly Public Online Collector Vehicle Auction. Bidding will be open in January and end on February 15th @ 7:00pm central time. 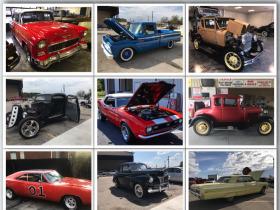 Bid on dozens of quality street rods, muscle cars, hot rods, rat rods, pickups and customs from private collections and individuals. We are now accepting consignments for this event that will receive "Worldwide" marketing through the MarkNet Alliance Group. We are the largest auction organization in the U.S. with 60 affiliate members in 35 States and South Africa. Our website receives more than 1 million visits each month. If you have a car to consign and want it specifically marketed, call or email us today to get it in this sale. 1. What is the commission? If the vehicle sells, we charge the consignor 10% or $500, whichever is greater. A flat fee of $200 is paid when the vehicle is consigned into our sale and if it sells, the $200 is credited back to the seller. A 10% buyers premium is also collected from the purchaser which pays for marketing expenses. 2. Can I put a reserve on my vehicle? Yes. We encourage you to sell the car without reserve in order to get the most interest, but we do allow reserves. No additional fees are collected if it does not meet your reserve. 3. Do I have to bring the car to you? No. You can keep the car at your residence or business and we will sell it for you and help coordinate with the winning bidder to pick it up there. You will need to write up any information you want to share about the vehicle, then take multiple photos of the exterior, interior, under hood and undercarriage. You can drop this off at our office or email them to us. You can also bring the vehicle by our corporate offices in Alabaster and we will take the photos for your. Make sure you make an appointment before you come. We also have an "upload" document on this website where you can upload the information and photos online. If you are keeping the vehicle in your possession, we highly recommend allowing a time and day for public inspection! If you bring the car to our auction center, we will hold an open house day for the public to view the vehicles in person. 4. Do you have to reside in the State of Alabama to sell? No. In fact, many of our sellers and their vehicles are in other States. Our buyers are made aware of the location of the vehicle and they make arrangements to pick the car up there. Our buyers are bidding all over the world! 5. Who collects the money and does the paperwork? We Do! Our staff conducts the auction, collects the proceeds, handles all of the bill of sales and title work, coordinates pickup with the purchaser. 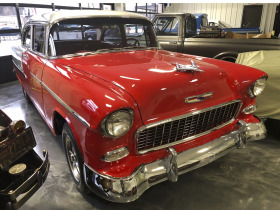 For more information about our Collector Car Auction, please feel free to call with questions. 205-664-4300. Vehicle Titles: Pearce & Associates is a licensed Alabama Automobile Dealer and Designated Agent. Any vehicle purchased will require that Pearce & Associates prepare the titlework for the purchaser. A fee of $65 per vehicle will be added to the final bid price for title work by the auction company. The only exemption is non Alabama residents which require an Alabama drive out form to be executed by the purchaser and licensed Alabama Automobile Dealers. Pearce & Associates shall require a copy of the buyers dealer license. Over the last 40+ years, Mickey Duckett Professional Auctioneers & Appraisers has led the way in creating a specialized Personal Property, Commercial and Residential real estate auction company. We have helped to create a market where individuals can liquidate their assets in the quickest way possible while attaining fair or above market value. We not only offer auction and real estate expertise, but also appraisals for Personal Property, Antiques, Equipment, Vehicles, etc.